If you have a sweet tooth like I do, then you'll love Cocola. Costco now sells Cocola Bakery gift cards for those of you who love chocolates, pastries, cakes. Cocola features both a bakery and cafe where you can get fresh pastries and a good cup of coffee if you like having it with your dessert. With five locations (San Francisco, San Jose, Redwood City, Palo Alto, and Santa Clara), Cocola is to the Bay Area just as much as Ghirardelli and Guittard Chocolate. My favorites at Cocola are the fruit tarts and tiramisu, but at Cocola everything tastes good. 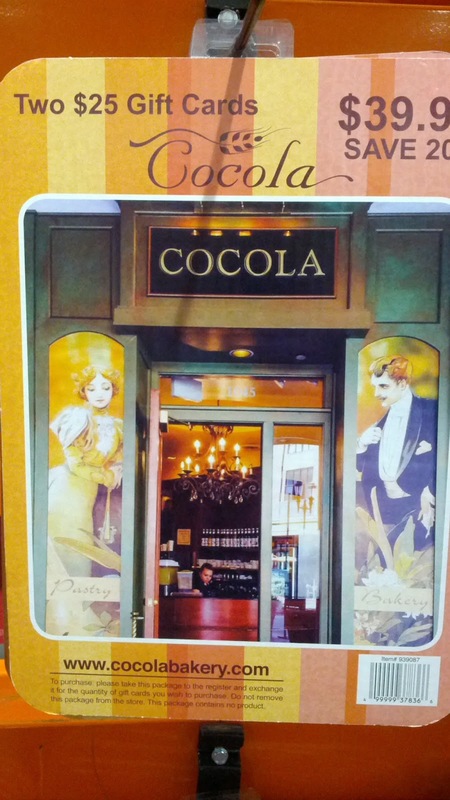 Cocola is a one of a kind high-end patisserie established in 2002 by Sue and Amir Aliabadi, a mother and son partnership, with the first locations in Westfield Valley Fair and Santana Row. The specialties of our cafés are French confections and pastries, that we like to think of as "affordable luxuries". We also serve gourmet sandwiches on baguettes fresh from the oven, with homemade soups and salads.